In Conclusion : To neglect the doctrine of the Trinity is to neglect the essence of our Christian faith in the God who created all that is and who has stamped God's image into the universe and even more clearly in humanity, and most clearly and decisively in Jesus Christ, who is the image of the invisible God-- God with a human face. If you are going to engage in critique you must post who you are. No anonymous posts of this nature are allowed on this blog. If you would like to identify yourself and repost what your wrote, I would be happy to interact with you. Another reason to add in is that the OT text does have 2 separate, but, equal Yahweh's and the first Jewish Christian's assumed Jesus was the visible Yahweh of the OT. I've heard Heiser say the spirit also may be seen as Divine in the OT text, but, I have yet to see a presentation documenting this. Thanks. I have some serious doubts over his claim of two Yahwehs. Well said brother! A book I found very helpful was "Ministry in the image of God" by Dr. Seamands. The book outlines some of the practical implications of our trinitarian theology in ministry. Did you take that comment as limiting God to 2 as opposed to 3 separate persons? It doesn't, it's just easier to see 2 co-equal, yet different Yahweh's in the OT text than 3 is all. I don't see anywhere that the Old Testament texts put forth the idea of two co-equal yet different Yahwehs. Such a view, I think, does incredible damage to the Old Testament. Thanks for the link, Bill. 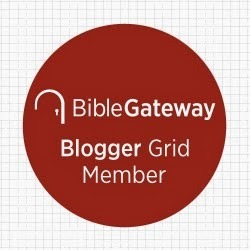 Why would more than 1 Yahweh in the OT disturb the trinitarian Christian view or do damage to the OT? How do you see the first Jews coming to the view Jesus is also Yahweh The Son, yet separate from Yahweh The Father? The Two Yahweh notion seems to come from Gnostic literature after the time of Christ. It is being championed today by atheists with an animus against Christianity. These same 'scholars' advocating two Yahwehs are like those who might claim on the evidence of henotheism held by early Hebrew peoples around the time of Abraham, claim they worshipped chickens. Have a little intellectual discipline, people. Thanks for your comments. It is certainly acceptable to disagree, but please do so respectfully and civilly. The issue I have with the 2 Yahwehs approach has nothing to do with Trinitarian implications. It has more to do with the damage it does to the interpretation of Old Testament texts. To claim that Jesus is God incarnate is not to say that the Son is Yahweh. I think Paul applies the Yahweh texts to Jesus because, he believes that in a decisive way, Jesus reveals the one true God, but I would avoid the language of Jesus is Yahweh. Hence, the reason that Trinatarian language is so careful and nuanced. 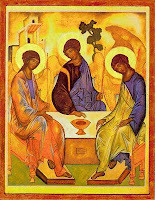 That icon at the top of the article, The Hospitality of Abraham and Sarah, is from the Old Testament and is the Christian icon of the Holy Trinity representing God visiting Abraham and Sarah in the form of three persons.